The Traditional German Springerle belong to the collection of old-fashioned Christmas Cookies in Germany. 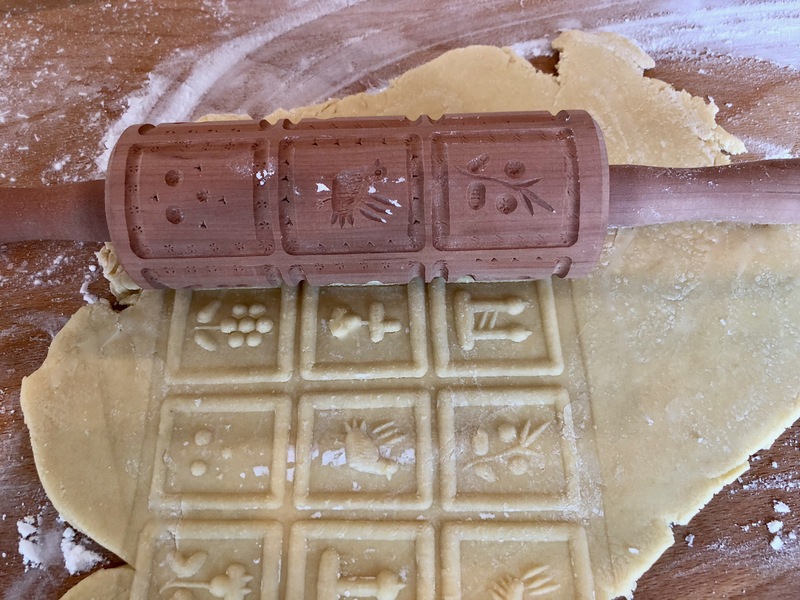 The rolled and pressed cookies need to dry overnight, to allow the pressed embossed design to harden. The Springerle is the best choice of cookies to dip in coffee, tea, or hot chocolate. 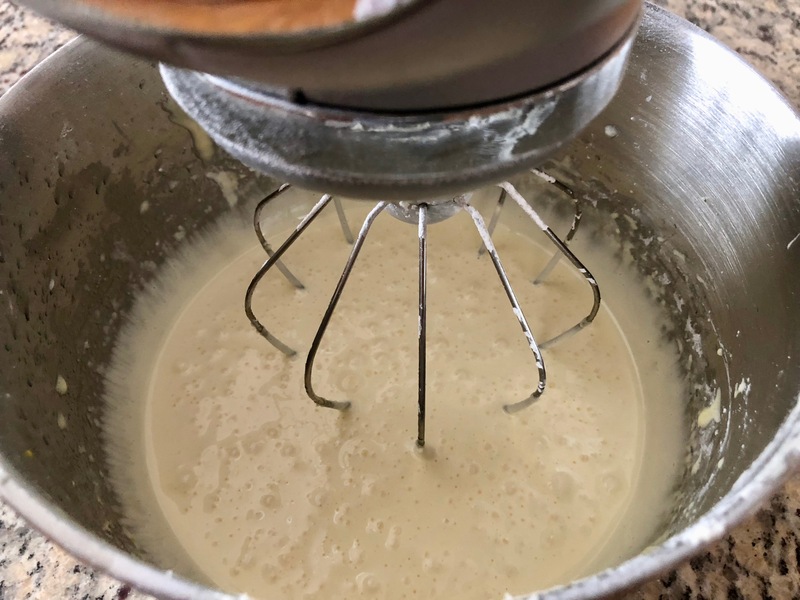 Beat the eggs in the bowl of a stand mixer until frothy. Add the powdered sugar to it one tablespoon at the time. Beat for about 10 minutes. Add the ground anise. In the meantime dissolve the Hirschhornsalz (ammonium carbonate) in the fruit liqueur/Kirschwasser and grate the peel of the lemon/orange. Add both to the egg mixture. Change the attachment of the mixer to the kneading hook and add slowly the sifted flour to the bowl. Continue kneading the dough with your hands. 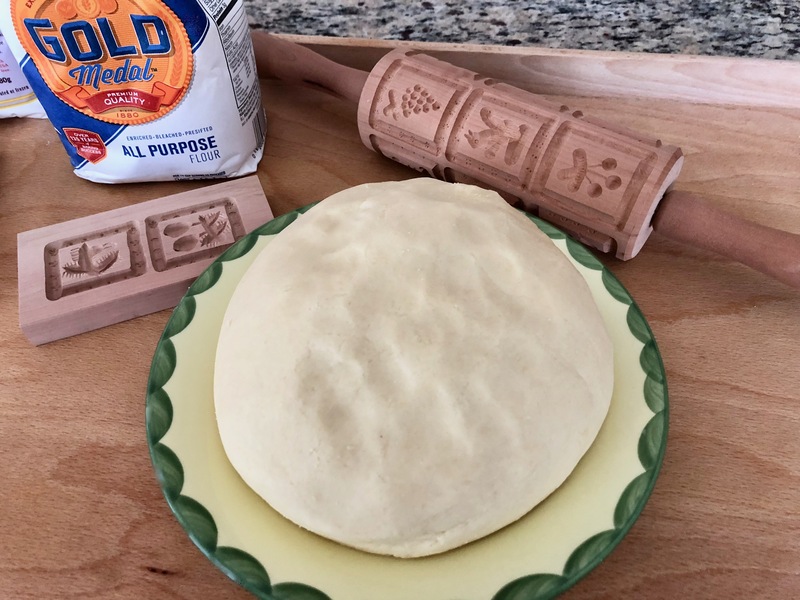 Cover the dough with cellophane wrap and let it rest in the refrigerator for a minimum of one hour. Use a quarter of the dough and roll it on a surface covered with potato starch. The thickness of the dough should be between 7-10 mm (a little more than a quarter of an inch). 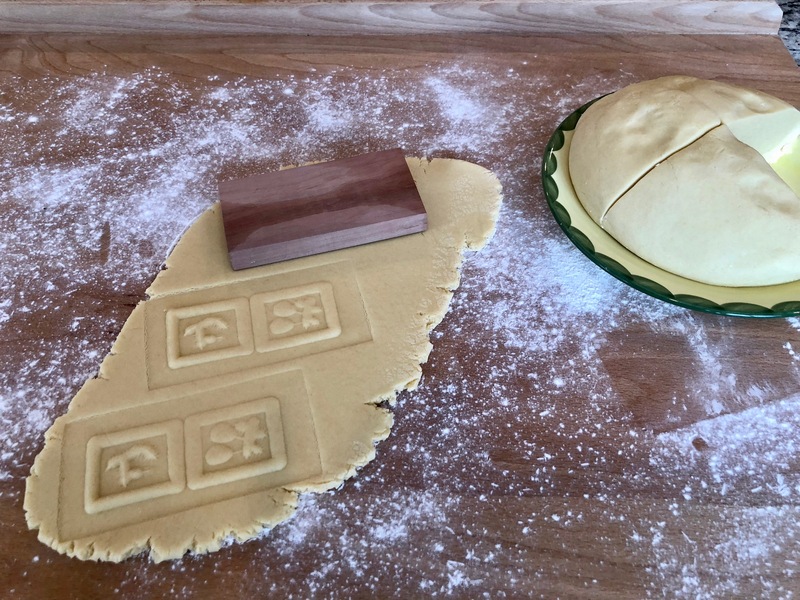 Press the molds or a rolling pin sprinkled with potato starch, into the dough, so that the pattern becomes visible. 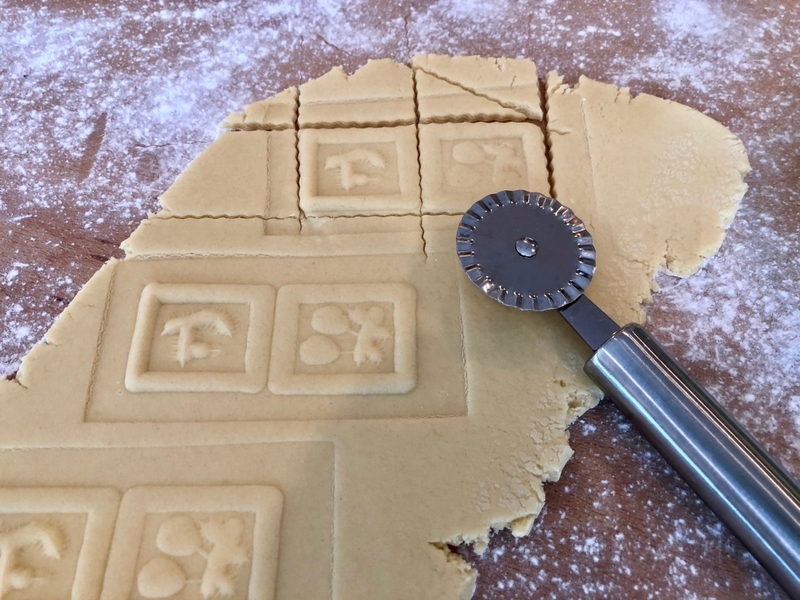 Cut the cookies along the lines using a pastry wheel cutter or small knife. Continue until all the dough is used. 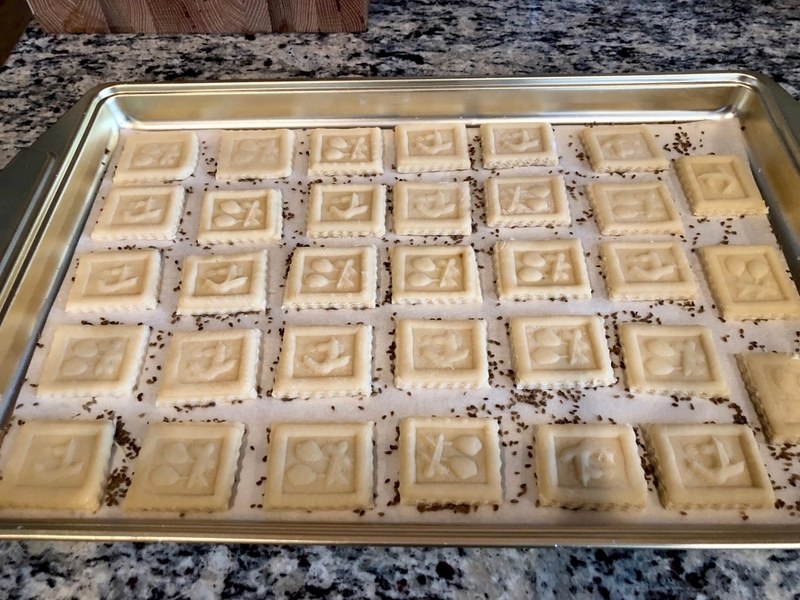 Cover a baking sheet with baking paper and place the cookies on it. Brush remaining potato starch off the cookies. Let them dry overnight uncovered. Remove the cookies from the baking sheet and place them on a light, moist kitchen towel. 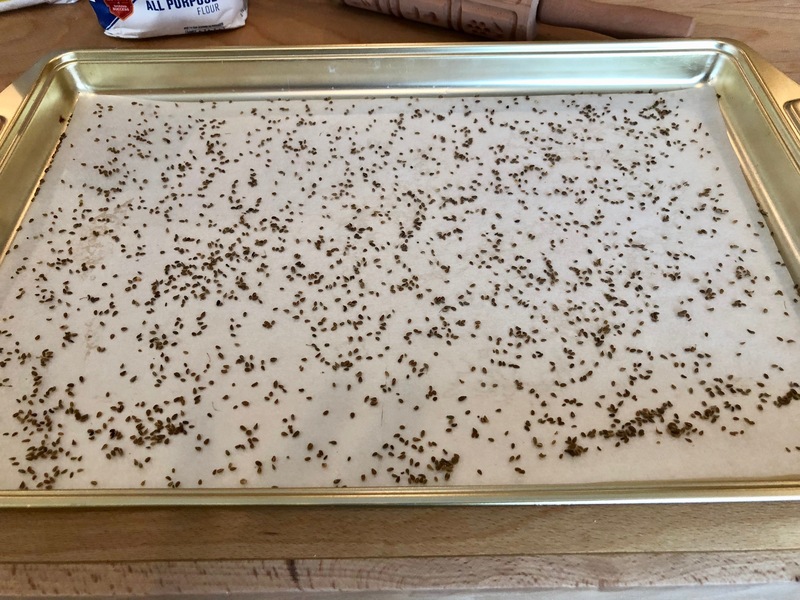 Sprinkle the anise seeds onto the baking paper and put the cookies back onto the baking sheet on top of the anise seeds. Preheat the oven to 155°C-160°C (310°F- 320°F). Bake the springerle on the middle roast for about 25 minutes. Cover the cookies after 15 minutes baking time with aluminum foil. The top of the cookies should stay white, and the bottom of the cookies should be light brown. Turn the heat off and place the cookies onto a cooling rack. Best stored in a tin box. To keep the cookies soft, place them in a ceramic bowl covered with a lightly moist kitchen towel. To find the German Anise Christmas Cookies click here, the German Cinnamon Star Cookies click here, and the German Marzipan Cookies Bethmaennchen click here.